Fitnatics are a different breed. 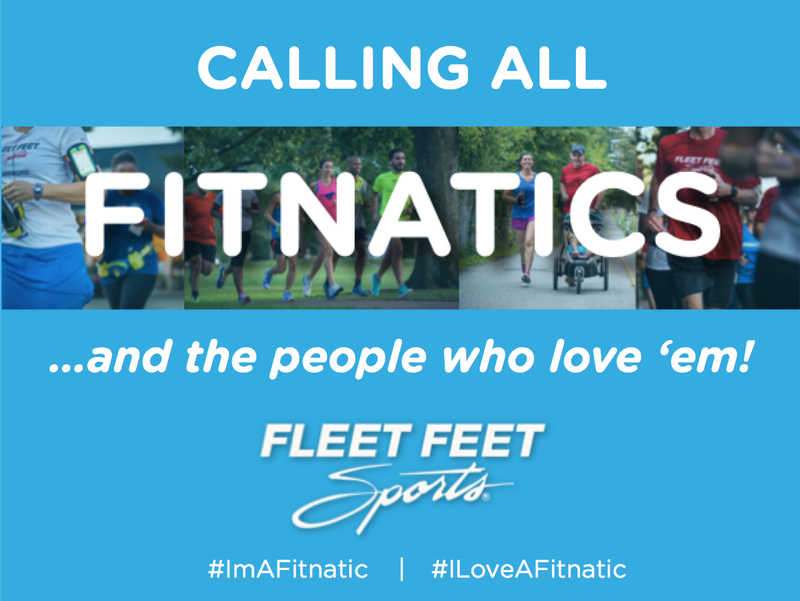 This October, we want to hear from and see all of you Fitnatics– and the people who love you - on Facebook! DETAILS: At noon each Tuesday and Friday in October, we’ll post a topic. Tuesday’s topics will be about Fitnatics; Friday’s topics will be about the people who love ‘em. YOUR MISSION: Respond to that topic with an explanation (and a picture if possible!) that shows your Fitnatic behavior! WHAT’S IN IT FOR YOU: Besides the glory of our Fitnatic fandom? We’ll select the best response for each topic. That person will receive a $25 Fleet Feet Gift Card. MAKE SURE TO: Tag the Fitnatics in your life, and use the hashtags #ILoveAFitnatic (if you’re talking about someone in your life) or #ImAFitnatic (if you’re talking about yourself). GOOD LUCK: You’ll have 8 chances to respond throughout the month, so make sure you check our Facebook status at noon every Tuesday and Friday in October! * Our staff will be picking one winner for each posting. Gift Cards must be picked up at our stores. Limit one gift card per person for contest duration.